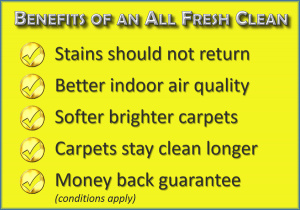 All Fresh Carpet and Tile Care is a South Australian based, family owned business (not a franchise) and was established in 1998 with the aim to offer our clients the highest standard of cleaning based on quality, ethics and attention to detail. It may surprise you to know that only a handful of carpet cleaners are actually certified to clean your carpet. 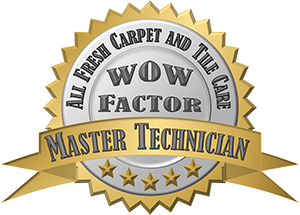 Barry Stewart proprietor of All Fresh Carpet and Tile Care is a master technician in carpet cleaning. 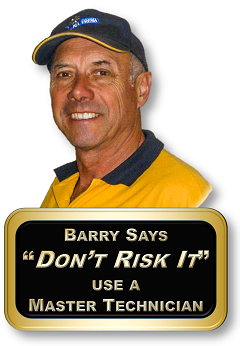 Not only can Barry expertly clean your carpet but also all your indoor floor surfaces, outdoor areas and take care of any mould issues you may have. All Fresh Carpet and Tile Care provide two cleaning processes, and will discuss your needs before commencing ether one. If you have your carpet regularly cleaned, our standard clean is probably all you need It will thoroughly clean your carpets and remove any light staining. Power vacuum – removes dirt and grit from deep inside your carpet. Treat for specific stains – safe and environmentally friendly chemicals are used to loosen and remove stains. Carpet grooming – your carpets are gently groomed to take away brush marks. Plastic protectors – plastic protectors are placed under furniture where appropriate to protect your carpet. The seven stage clean is our heavy duty process and is for badly soiled carpets, e.g. pet or organic staining or heavy soiling. Hot detergent – the detergent penetrates deep into your carpet to loosen the toughest of stains. Rotary shampoo – specialised machines ensure the detergent does its job and dissolves any heavy staining. Rinse – detergents and soils are removed from the carpet with hot water extraction. 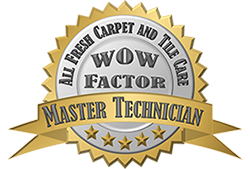 While other less effective processes may be cheaper the methods employed by All Fresh Carpet and Tile Care are greatly superior, proven and long lasting.